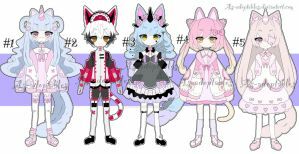 Mode of PAYMENT: Points and Paypal "From Left 2 Right"
// Hi guys~ Here's the cutest adopt batch I've made! I really REALLY spent so much time in this as usual money will go to my graduation fee this April xD Any recommendation? 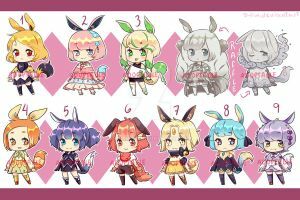 Please comment below~! and I HAVE AN ART RAFFLE,Kindly check it out!